The final translocation for Mahia’s shore plover? During two weeks in May, seven juvenile shore plover/tūturuatu were translocated to Waikawa Island off Mahia Peninsula. This was the last of two translocation for the year. Local biodiversity ranger Helen Jonas explains what’s involved in keeping this population of rare birds going. New Zealand’s magnificent shorebirds are masters of their elements but they only reach this supreme state of being after rigorous training of mind and body. To a casual observer, the birds are just mooching around, or foraging for food, but look closer. You might be surprised to see what they are really up to. I dropped in on a couple of Wellington’s shorebird chapters: the beach chapter at Petone, and the city branch at Wellington Harbour, to watch their training sessions. A pair of oystercatchers were just finishing their afternoon tea at the beach to fortify themselves for their self-improvement class. The first one led the way, closely followed by an inquisitive red-billed gull. The tide was in and pounding against the end of a concrete pier. The pair of oystercatchers took their positions at the end of the pier where the raging sea would drench them. They showed no fear but just stared down the approaching waves. The gulls arrived shortly afterwards but they were the new entrants to the class, taking a back row – watching and learning from the masters. With the skills learned from the beach, the gulls tried to apply them, in the comparative privacy of Wellington Harbour. Their test was to hone their flight skills on a spectacularly windy winter’s day. Their test area was the outfall from the wetland next to Te Papa. As they arrived, their first task was to stand their ground in the face of the wind that was blowing the falling water back the way it came. Following the example shown by the oystercatchers, the lead gull stepped to the edge to show no fear while being pelted by the spray and then to execute a flawless take-off. Clearly a bit more practice was needed. He was nearly wiped out by a cross wind. It must have dented his confidence as I saw him later retaking his beginner’s take-off class. By that time, I had to get back to work, so I never witnessed the landing. New Zealand is famous for its land birds like the kiwi and kākāpō. But just as remarkable and unique are our sea and shore birds. More than a third of the 80 or so species of sea and shore birds that breed in New Zealand are found nowhere else on Earth, including the variable oystercatcher. Both variable the oystercatcher and red-billed gull are native to New Zealand and are often found around our coast. Do you have a ‘chapter’ of these shorebirds near you? 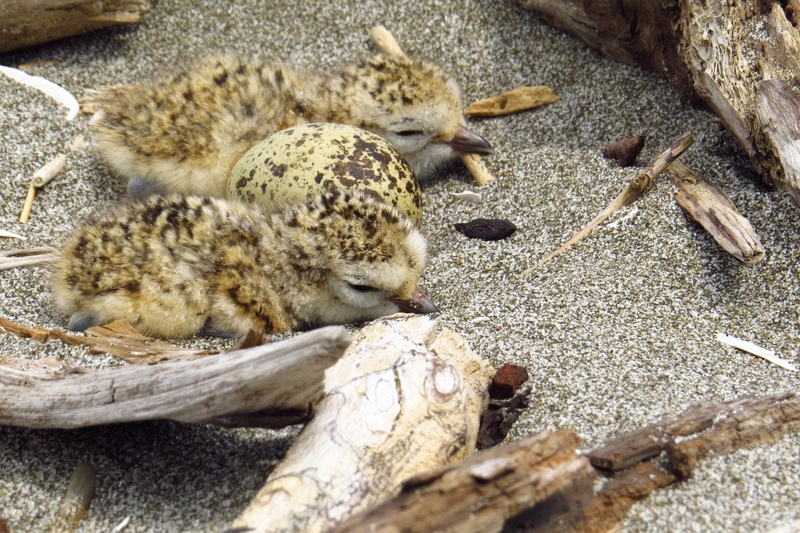 Today’s photo of the week is of two newly hatched dotterell/tūturiwhatu chicks in their nest on a Bay of Plenty beach. Their camouflaged eggs are laid in a scrape in the sand, and can be easily crushed by beach goers as they’re sometimes hard to see. DOC is looking for volunteers in the eastern Bay of Plenty area to get involved with the conservation of our feathered shore friends. Volunteers will need to be able to commit for the duration of the shorebird season which runs from September to February. More information is available on the DOC website. Photo by DOC Services Ranger Mithuna Sothieson. DOC is engaging in bird conservation in China. Why you might ask? Both the bar-tailed godwit and the red knot are declining. 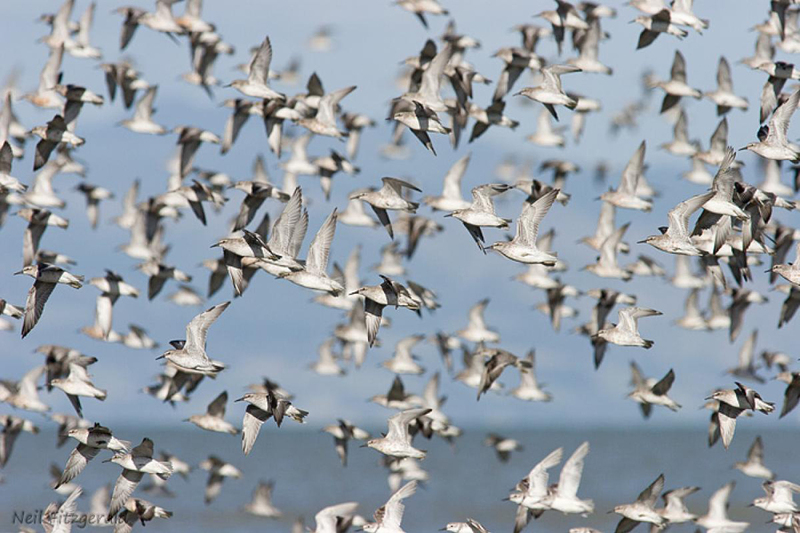 The best science we have shows that declines in both these, and other shorebird species, is due to habitat changes in the Yellow Sea, where they stopover on their migrations to and from the Arctic breeding grounds to refuel and gather food. These birds are all part of the East Asian-Australasian Flyway, which is one of seven flyways that circle our world. This flyway extends from Awarua Bay in the south of New Zealand to the North Slope in Alaska, and from as far west as Myanmar to Alaska in the east. It is one of the most significant biological features on the planet and it is in trouble. Reclamation, pollution, and hunting are causing declines in the numbers of bird species of 5-9% per year. The most important driver of change is reclamation in the Yellow Sea, where research has shown a 35% loss of intertidal habitat area across six key areas since the early eighties. 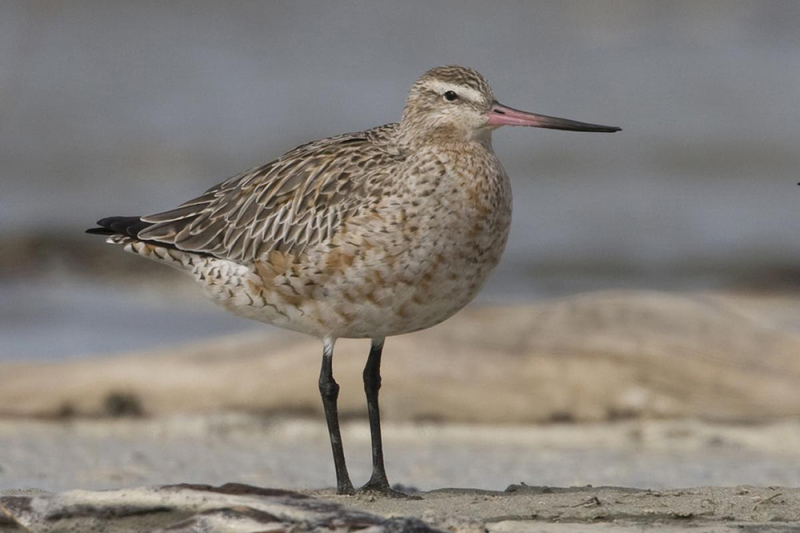 Protection of the New Zealand populations of bar-tailed godwits and lesser knots requires engagement with partners as far away as Russia and USA, but in particular China and North Korea. 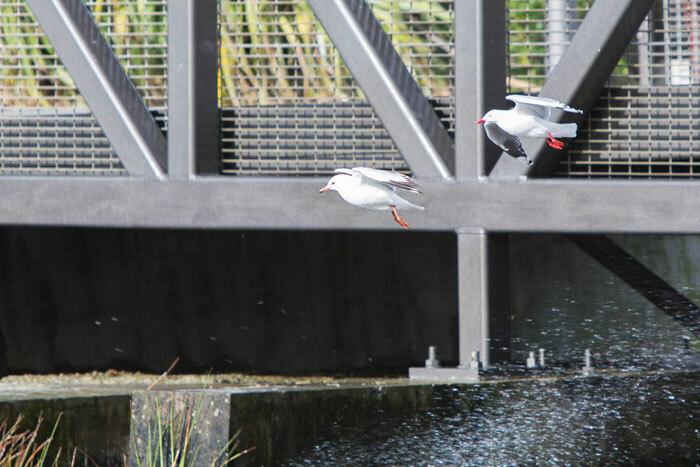 New Zealand is a member of an international body seeking to guide governmental and non-governmental action to ensure that declines of migratory waterbird populations are reduced and that key habitat along the flyway are protected and where possible enhanced for the migratory birds. A key partner in this work is the Miranda Naturalists’ Trust who have a long and respected history as a passionate advocate for shorebirds. DOC staff will be visiting China and North Korea along with the Miranda Naturalists’ Trust to to engage with governments and local organisations on how to work together to protect the habitat of these shorebirds.